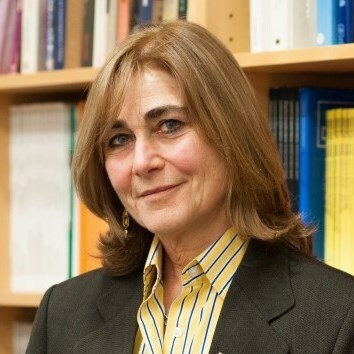 Jacqueline Bhabha is FXB Director of Research, Professor of the Practice of Health and Human Rights at the Harvard School of Public Health, the Jeremiah Smith Jr. Lecturer in Law at Harvard Law School, and an Adjunct Lecturer in Public Policy at the Harvard Kennedy School. She received a first class honors degree and an M.Sc. from Oxford University, and a J.D. from the College of Law in London. From 1997 to 2001 Bhabha directed the Human Rights Program at the University of Chicago. Prior to 1997, she was a practicing human rights lawyer in London and at the European Court of Human Rights in Strasbourg. She has published extensively on issues of transnational child migration, refugee protection, children’s rights and citizenship. She is the editor of Children Without A State (2011), author of Moving Children: Young Migrants and the Challenge of Rights (forthcoming, Princeton University Press, 2014), and the editor of Coming of Age: Reframing the Approach to Adolescent Rights (forthcoming, UPenn Press, 2014). A native of Canada, Ms. Bissell first served UNICEF in 1987, in New York, in what was then called the Division of Information and Public Affairs. Thereafter she returned to the University of Toronto to complete a Master’s degree in law, economics and international relations. Ms. Bissell then resumed her work at UNICEF, in the Sri Lanka country office, focused on children in especially difficult circumstances (CEDC). From there she moved to Bangladesh and maintained her CEDC concentration, positioning UNICEF particularly on child labour at a time when it was attracting considerable international attention. In 1997, Ms. Bissell again commenced academic work, in a doctoral degree in public health and medical anthropology at the WHO Key Center for Women’s Health, Faculty of Medicine, University of Melbourne. While completing her doctorate, she also worked with Trudie Styler and the Bangladeshi film team Catherine and Tareque Masud to produce the documentary "A Kind of Childhood." The film screened widely at film festivals globally and appeared on Canadian, American, and British television. In 2005, it had a second screening at the London Human Rights Watch Film Festival. Ms. Bissell came back to UNICEF in 2001 as the Chief of Child Protection in India. In 2004, she transferred to the Innocenti Research Center, where she led a research unit and a number of studies. These included a 62-country study on the implementation of the general measures of the UN Convention on the Rights of the Child, and global research on the Palermo Protocol and child trafficking. Ms. Bissell was also a member of the Editorial Board of the report of the UN Secretary General’s Study on Violence Against Children, which was released in 2006. In 2009, Ms. Bissell was appointed to her current position in New York, heading all of UNICEF’s Child Protection work. She oversees a team of professionals guiding efforts for children affected by armed conflict, child protection systems strengthening to prevent and respond to all forms of violence against children, and a range of other matters. UNICEF is active in child protection in 170 countries, and the New York team offers leadership, strategic vision, and technical support. Ms. Bissell was recently awarded an honourary Professorship at Barnard College/Columbia University. She also received the Dr. Jean Mayar Global Citizenship Award from Tufts University in 2012, as well as the Queen Elizabeth II Diamond Jubilee Medal. Ms. Bissell was honoured to accept both of these awards on behalf of her UNICEF Child Protection colleagues around the world.